The first full week of National Novel Writing Month (NaNoWriMo) is in the books. Totals by the end of the day should be cracking the 10k mark. I said should be because I am playing a bit of catch up. With that being said the first Sunday feels just right for the first release of our Authors and Beers Series. Many people have unique ways of getting projects done and when it comes to writing there is one piece of advice I enjoy above the others. To me, it means let the creativity flow without thought, and worry about the grammar later. Not only was Hemingway a once-a-generation writer he was also a well known drinker, which is putting it politely. The Beast coming in at nearly 17% would catch Hemingway’s attention on first glance. 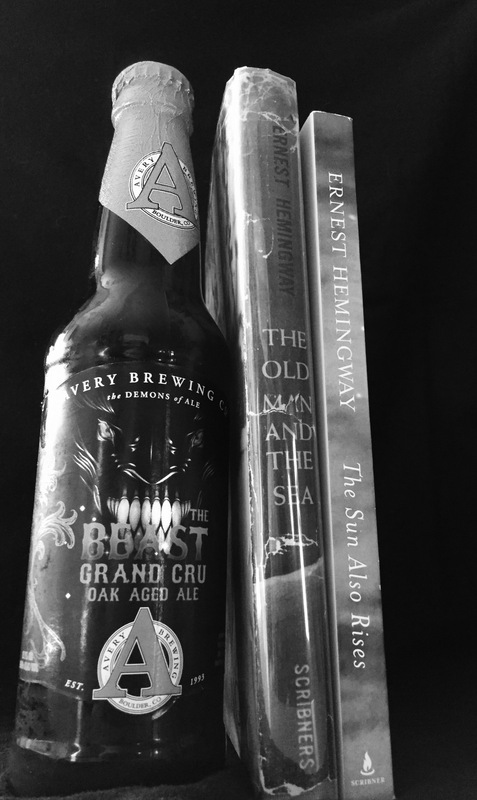 This dark beer is spicy, it is tropical – something you might expect from one of Hemingway’s favorite liquors, a fine Caribbean rum. Strong and delicious, it encourages the beast (or your baser human instincts) to come out. If that isn’t Hemingway and his writing I don’t know what else it would be.